This past week my niece celebrated her 6th birthday, and after some interest she was gifted two American Girl dolls that have been in our family for years. A Kirsten doll from 1991 and a Julie doll from from 2007. My niece will be Kirsten’s third caregiver. Passing down of the dolls! My youngest Sister E. and Niece L.
I may have started the American Girl love in our family. In the 4th grade I started reading all the books. I loved the stories of headstrong girls, the illustrations, the way the pages felt, even learning bits about history. We would get the catalog in the mail, and I would literally memorize every page and imagine in my head what it would be like to play with those dolls and all their accessories. My family often struggled to get by, so I knew playing with Felicity’s elaborate 4-poster bed and bed-warmer was a pipe dream. Somehow, amazingly, two Christmas celebrations in a row I received a Molly, then Felicity doll. Sister G. received a Kirsten doll, too. It was really the magic of Christmas. I could have cried. Actually, I’m crying now, thinking about what magic it really was. I loved those dolls, made clothes for them, everything. Fast forward to today, Molly and Felicity are in my daughter’s closet and will be given to her when she’s old enough. I would also like her to have a doll she can call her very own, and maybe, just maybe, pass that doll to a special little girl many years from now. I also have another niece who’s a bit younger than Miss V., and I’m sure my arm could be twisted into providing her with an American Girl doll in the future. 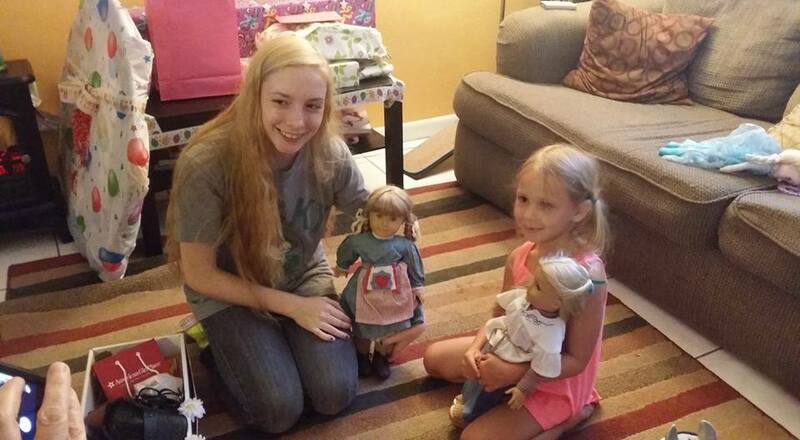 How do I save money on American Girl dolls? The new 18″ dolls start at about $115, and additional accessories, clothing and furniture are on the very high end as well. Before you balk at the price consider this, my dolls are 25 years old, and despite daily play when I was little, they still look pretty good. They are the only toys my sisters and I have saved since childhood. 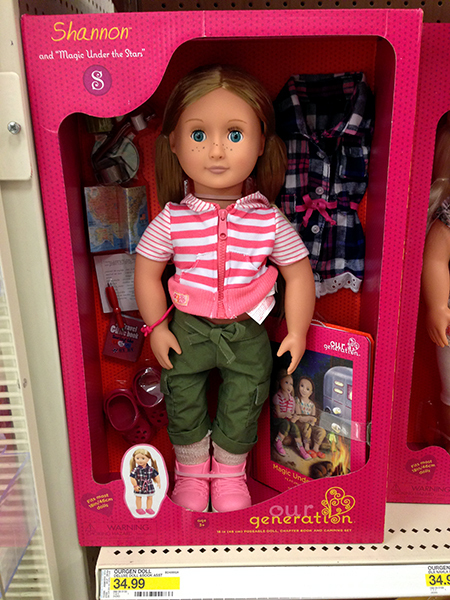 Sales at American Girl are rare, and do expect to pay shipping. But, there is a sale section on their website with books, clothing and other accessories, many of which are significantly discounted. It’s been reported that past Black Friday and/or Cyber Monday sales have been incredible, with some people paying as little as $60 per doll. It’s also noted these sales are intensely popular, and may take some patience in navigating the website. Make sure you sign up for promotional emails to stay in the loop. Zulily recently had an American Girl sale that contained Bitty Babies, accessories, activity books, and some Truly Me dolls. The discounts weren’t huge, but many items sold quickly. Jill’s Steals and Deals from the TODAY Show have also had big sales, and are very popular. Some sales have included select historical or BeForever dolls. Each July a benefit fundraiser for Madison Children’s Museum is held over 2 days in Wisconsin. These dolls appear to be slightly irregular or discontinued, but I doubt this would discourage any child from playing! Sales are in-person only, and dolls run about $35. Each year the American Girl warehouse opens it’s doors to the public and sells overstock goods. It appears dolls may not be part of this sale, but lots of accessories are. It was tough to find official information, but there are bunches of blogger reports, and yellow pages information about the American Girl Outlet Store at The Outlet Shoppes at Oshkosh. 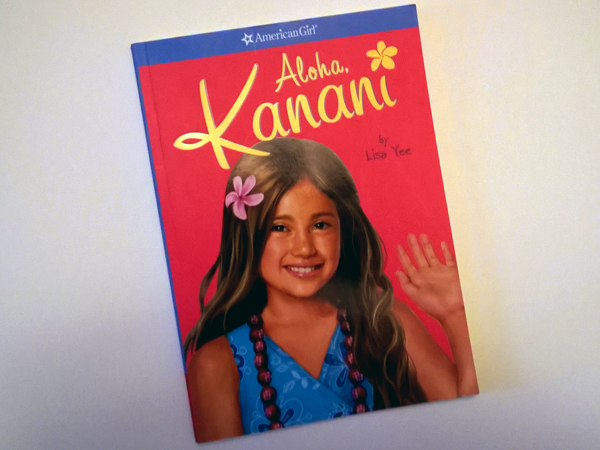 Amazon has some American Girl books for a slight discount over buying direct. Even better, some are available on Kindle too! You can also buy gently used books from various vendors. No one says all your accessories have to come from American Girl. These days there are lots of options that fit 18″ dolls. Target has a line of Our Generation dolls that look remarkably similar to American Girl, and some even have their own books. When I checked recently, Target had a very large area dedicated to these dolls and all their accessories. Most accessories should fit an American Girl doll. Toys R Us also has an exclusive line called Journey Girls. JoAnn Fabrics and Michael’s sometimes have accessories or furniture from their own lines which could be DIY’d. When I made clothes for my dolls it included hot glue and some 80’s-tastic neon fabric! But, today there are more patterns than you could shake a stick at to make yourself. Occasionally JoAnn Fabrics has patterns on sale for $1 too! Etsy is full of creative handmade outfits and accessories at reasonable prices. Actually, I was surprised at how affordable some of the outfits are. Stores like Kohl’s, Target, and Amazon offer Mommy and Me or Dolly and Me outfits, where your child’s outfit matches that of her doll. You might get lucky at Marshall’s or TJ Maxx too! 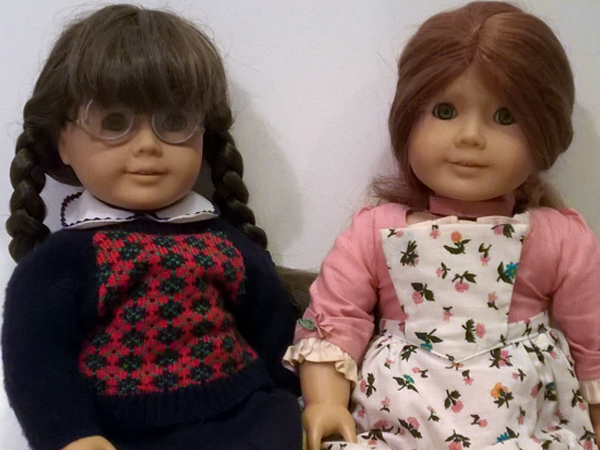 Buying pre-loved American Girl dolls can be a great way to save. Do be aware that many dolls, even the very-well loved ones, can retain their value. The retired dolls are popular with collectors, and some dolls sell for the better part of a mortgage payment. Check out my thrift store haul at the bottom of this page. I’ve been searching eBay for a bit now. Items definitely seem hot here, and have gone for prices much more than I expected. I believe it’s going to take a bit of patience to find a solid bargain. Goodwill has it’s own online bidding site similar to that of eBay. Some of the pricing I’ve found to be better, but the biggest downfall is that shipping and handling is hefty. And I mean hefty! Don’t forget to calculate shipping and handling costs. You never know what you might find! Just search for “American Girl”. Check upcoming garage sales too! A popular app and website where you can find local goods for sale. Facebook can be a great place to network, or buy local! Check out Buy/Sell or VarageSale groups in your area. I really love JBF sales; here moms consign outgrown clothes, toys and equipment twice a year. Even if there isn’t a JBF sale in your area check out other large consignment sales on ConsignmentMommies.com. Be on the lookout! 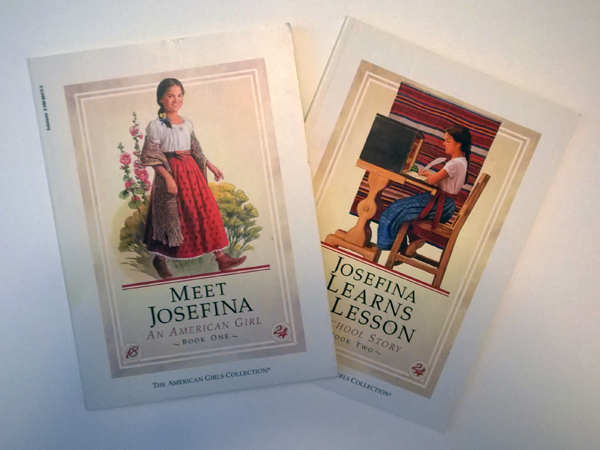 The Half Price Books location I visited had a very large selection of used American Girl books, even some Pleasant Company versions! The books I saw were $3.49 each, and the box sets $19.99. After seeing prices skyrocket on eBay, I figured these dolls have to be coming from somewhere, and darn it I was going to find out! If I could find a doll for a few bucks at a thrift store, fix her up, and sell for $60 or more, why not! Honestly, I completely struck out in finding an authentic doll or clothes. As in not one of the stores had anything in stock that I could find. The thrift store American Girl doll remains elusive to me.. But, all was not lost! I did find books! 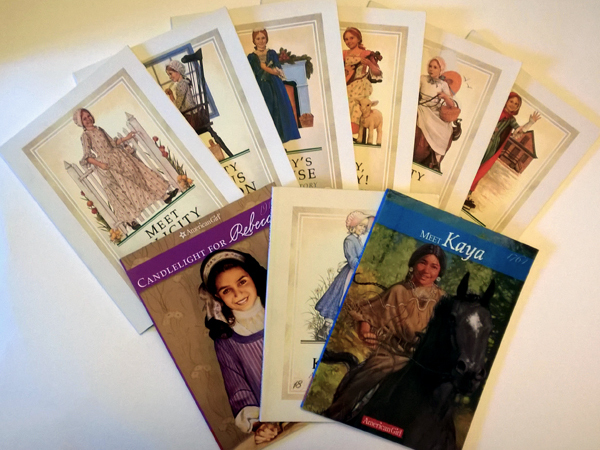 At Value Village in Issaquah I found a complete set of Pleasant Company Felicity books, Meet Kaya, Meet Kirsten, and Candlelight for Rebecca! Woo Hoo! I’m on putting these books away for my daughter or nieces. I realize that after a visit to 7 different thrift stores, it’s going to be highly unlikely to find a doll. I asked several store clerks how often they see American Girl dolls come through, their responses varied from; “Never”, to “Once in a great while” to the very helpful, “Whenever someone brings one in the back”. A few suggestions if you do go to a thrift store in search for the elusive American Girl doll, look in both the toy and collectable section. Look in glass cases too. 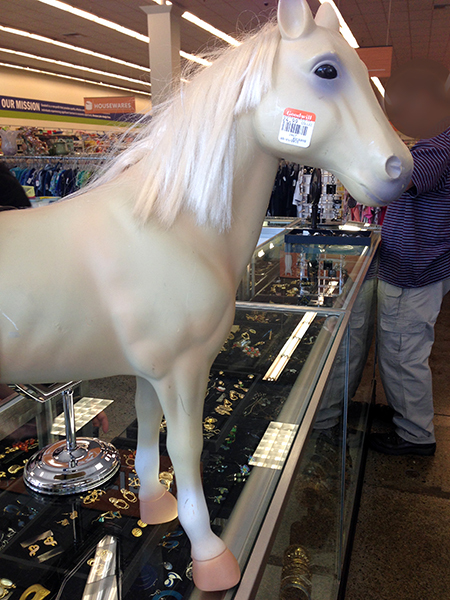 One Goodwill had a very good looking (but non-authentic) horse on top of their glass display case. I did also see a few pieces of generic 18″ doll furniture, and an American Girl craft kit in my travels. Overall, I’m thrilled to pass on this piece of my childhood to my daughter and nieces. I hope they will have as much fun and love for these dolls as I did. Until my daughter is old enough, I’ll be searching the web (and thrift shops!) for deals. 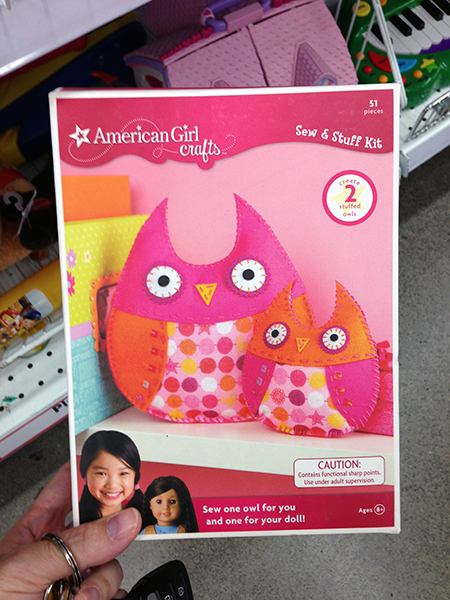 My nieces will also most certainly have American Girl care packages in the future! Do you have any good tips for finding great deals on American Girl dolls? Did you play with them as a child? Let me know in the comments!